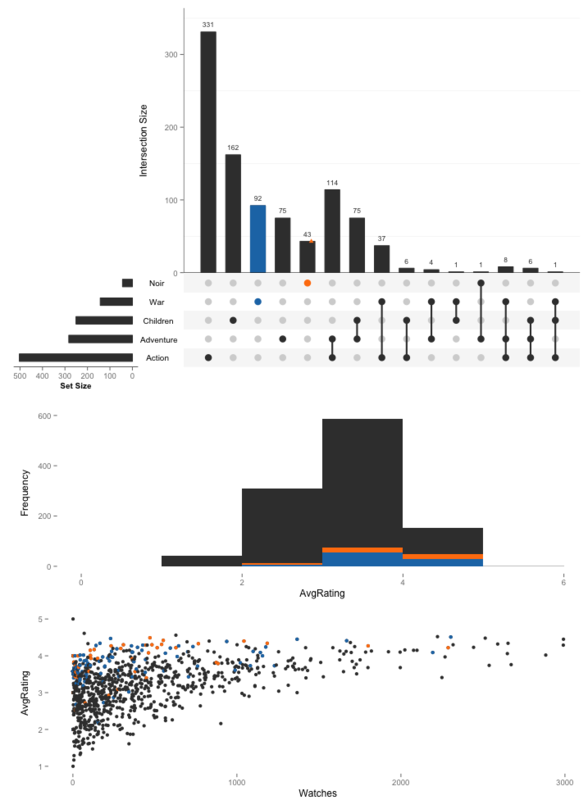 Creates visualizations of intersecting sets using a novel matrix design, along with visualizations of several common set, element and attribute related tasks. 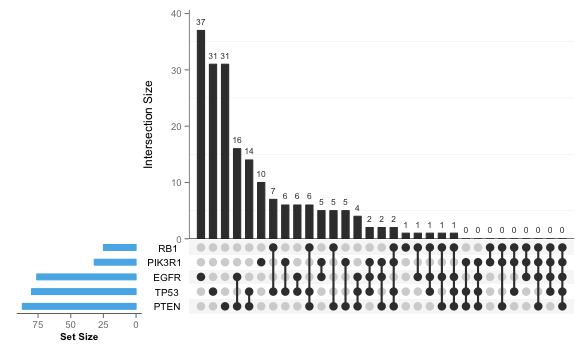 UpSetR generates static UpSet plots. The UpSet technique visualizes set intersections in a matrix layout and introduces aggregates based on groupings and queries. The matrix layout enables the effective representation of associated data, such as the number of elements in the aggregates and intersections, as well as additional summary statistics derived from subset or element attributes. The movie data set created by the GroupLens Lab and curated by Bilal Alsallakh and the mutations data set was originally created by the TCGA Consortium and represents mutations for the 100 most mutated genes in a glioblastoma multiforme cohort. A view of the UpSet plot with additional plots based on elements in the intersections. 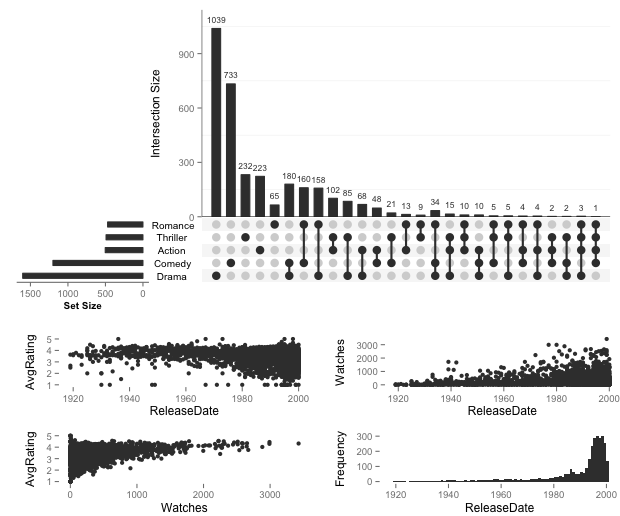 An example using two set queries (war movies and noir movies) along with attribute plots comparing the average rating (top) and average rating vs the number of times the movies have been watched (bottom). IEEE Transactions on Visualization and Computer Graphics (InfoVis '14), vol. 20, no. 12, pp. 1983–1992, 2014. Renamed custom.plots as attribute.plots to better fit its purpose. Lowered minimum required R version.